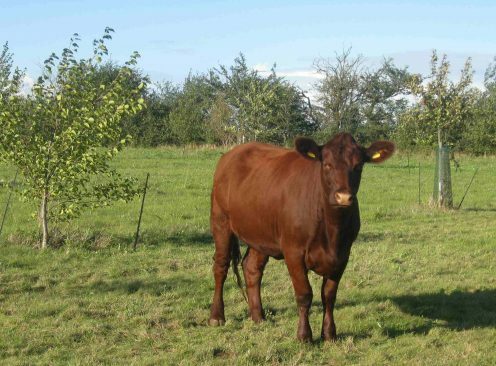 We kept pigs and cows at the farm up until 2017 – they were a key part of the The Oak Tree Low Carbon Farm’s integrated agriculture approach. We are not keeping animals at the moment and will update this page if anything changes. Our original breeds included: Plymouth Barred Rock, Ixworth, Buff Sussex, Light Sussex, Speckled Sussex, Gold Laced Orpington and Rhode Island Reds.